Special Features – they can stay under water for a minute or more meaning they can feed from the bottom of rivers and streams. They have palm shaped antlers which distinguish them from reindeer. 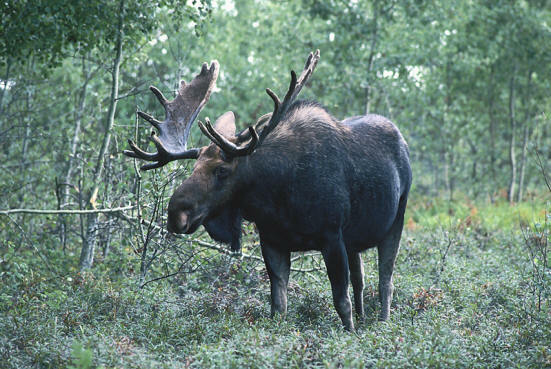 Family Unit – Moose are solitary creatures with the young leaving their mother at around about a year old. Natural Habitat – wooded areas of mixed or deciduous trees, near lakes or rivers.